Andertons Music Co. has been a family run business since 1964, so it's fair to say we know a thing or two about guitars! This channel is dedicated to guitars, effects pedals and amps. Showcasing all of the best gear as well as legendary guest players like John Petrucci, Paul Gilbert and Eric Gales. It doesn't matter if you're interested in a private stock PRS, an entry level acoustic guitar or a full on shred machine - Andertons Music Co. has got you covered! The Laney LA30BL Head - Enough to Blow Out The Captains Eardrums! 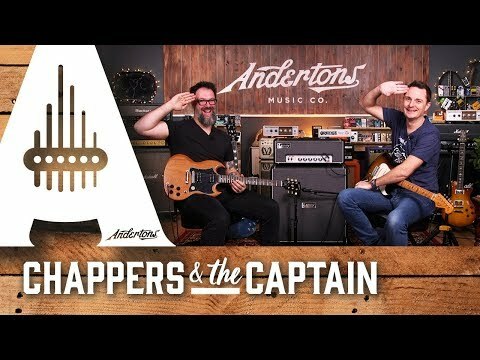 Andertons Music Co » YouTube » The Laney LA30BL Head - Enough to Blow Out The Captains Eardrums!